Tesla is finally making enough Model 3s -- but an analyst says many customers are growing too impatient to wait any longer for them. Cancellations for Model 3 orders have picked up in recent weeks. Refunds now outpace deposits for Tesla's new mass-market electric car, according to Needham & Co. analyst Rajvindra Gill. Tesla disputes that. In an analyst note delivered to clients Thursday, Gill cited extended wait times for the car, the expiration of a $7,500 tax credit, and the fact that Tesla has not yet made the $35,000 base model of the car available for purchase yet. About one in every four Model 3 orders is canceled, Gill said, double the rate from a year ago. Customers have to put down a refundable $1,000 deposit to reserve a Model 3, then pay another $2,500 to choose their specific version. They pay the rest when the car is delivered. A Tesla spokesperson denied that Model 3 cancellations exceed new orders. The spokesperson also said the wait times that Gill cites are outdated. Tesla's website currently lists wait times from 1 month to 9 months. Gill called sales of the Model S and Model X "lackluster," especially with the growing amount of competition from luxury manufacturers. Tesla announced earlier this month that orders and deliveries of those models grew last quarter. The company is also maintaining its delivery target of 100,000 vehicles. He doubts Tesla will reach its target of 100,000 Model 3 deliveries by the end of the year -- to accomplish that goal would require it would have to ship 27% more cars in the second half of the year than it did in the first half. Gill said that he's also "skeptical of demand" for the sedan. In another warning, the analyst said Tesla's capital structure is also "unsustainable," as free cash flow continues to evaporate. Gill expects Tesla to burn through $6 billion by 2020. He wrote that the Tesla stock is "still overvalued" despite falling 16% from its June 2017 peak. 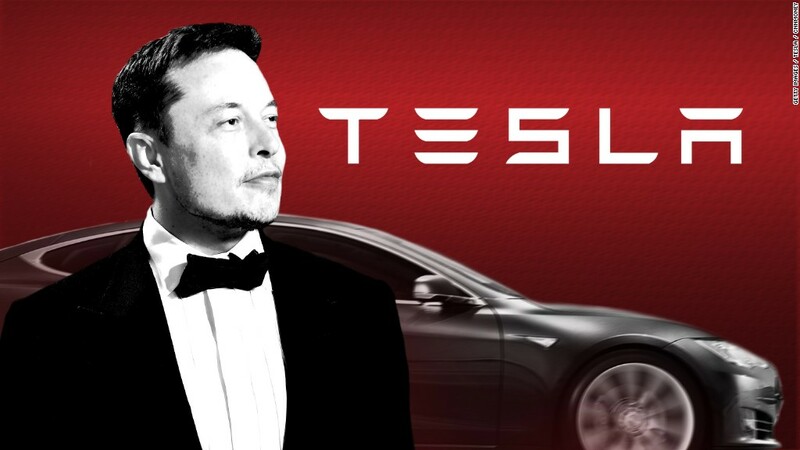 He downgraded Tesla (TSLA) stock to "underperform" -- essentially a sell rating. Tesla has been struggling with the Model 3 for several months. Separately, investors aren't thrilled with founder Elon Musk's antics on Twitter. Tesla's stock fell nearly 3% Thursday.